overcome the much-fancied bid from Paris under the leadership of two-time Olympic gold medallist and politician Lord Sebastian Coe. Hosting the event in 2012 made London the first city to host the modern Olympics on three occasions, after previously doing so in 1908 and 1948. Attempting to outdo the extravaganza served up by Beijing in 2008 was always going to be an impossible task for London, but shows of quirky British culture, fantastic hospitality and an incredible Olympics crowd ensured that these Games would stand-up to Beijing in a way that not many had predicted. The notion of hosting the Olympics had been met with a mixed response in Great Britain due to the worldwide economic recession and the huge cost that would be incurred from hosting the Games, but the British public embraced the Olympics with great passion, with around half the population, approximately 30 million people, tuning in to watch the opening ceremony, and an estimated 90% of the population watching some part of the Games on television. A hefty amount of re-development and improvement had to be done in Stratford in East London, home of the Olympic Village, for it to be ready for 2012, and with the legacy of the Games being one of the key components in hosting the event, utilising Olympic venues after the Games became just as important as hosting them. This included the construction of the largest shopping centre in Europe, improved transport links, new homes and creating thousands of jobs in the area. 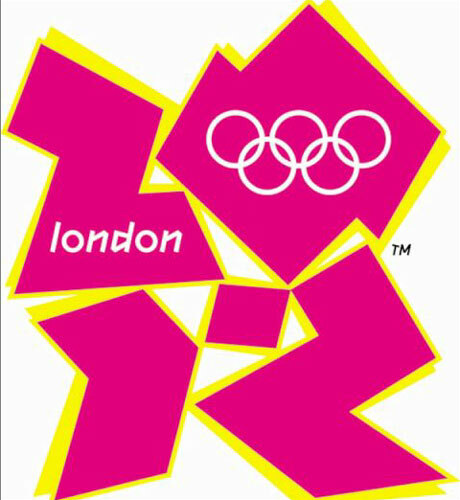 The first real controversy of the Games occurred in mid-2007 when the official logo for London 2012 was unveiled and was labelled as "embarrassing" by media and the public- 80% of voters on the BBC website gave the logo the lowest possible ranking. The logo was also said to have triggered seizures in sufferers of photosensitive epilepsy, and Iran threatened to boycott the Games altogether as they believed that the logo spelled out the word "Zion", though they did not follow through with any action. Britain had also been in for criticism from across the Atlantic from presidential candidate Mitt Romney, who suggested that London was not ready to host the Games just days before the opening ceremony, which saw him shot down by the media and various figures from across the world, in particular London Mayor Boris Johnson, who gave a rousing rally cry to 80,000 members of the British public, slamming Romney's comments as the Olympic flame reached Hyde Park. "I hear there's a guy called Mitt Romney who wants to know whether we're ready. Yes, we are. The venues are ready. The Stadium is ready. The Aquatics Centre is ready. The Velodrome is ready. The security is ready. The police are ready. The transport system is ready. And our Team GB athletes are ready, aren't they?" 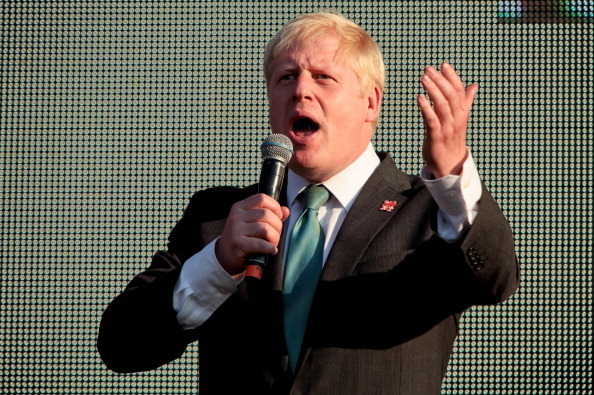 cried Johnson, to a rapturous response from the gathered crowds, "There's going to be more gold, silver, bronze medals than you'd need to bail out Greece and Spain together." 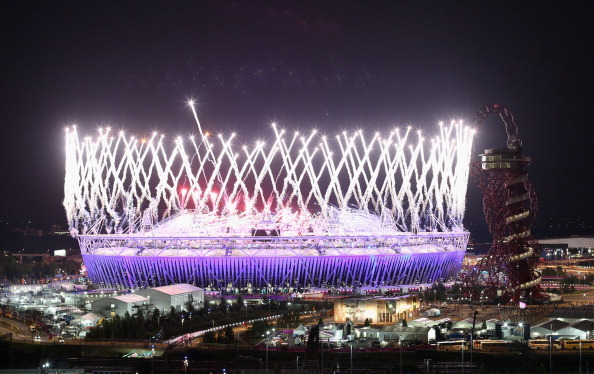 The opening ceremony at London's 80,000-seater Olympic Stadium, entitled Isles of Wonder, was crafted by cult Oscar-winning director Danny Boyle, the man responsible for iconic films such as Trainspotting and Slumdog Millionaire. 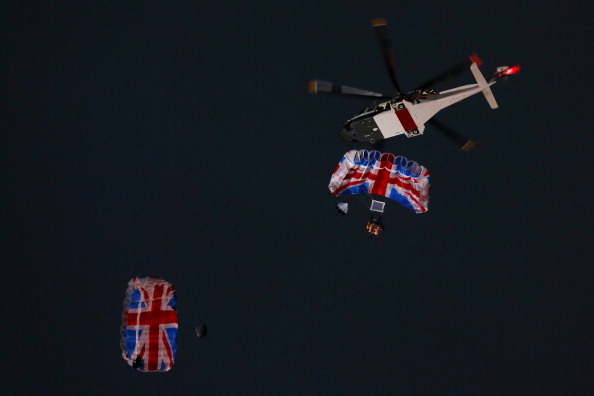 Boyle put on a display mixing British tradition with modern cultural references, featuring a comedy sketch from Rowan Atkinson as Mr Bean, James Bond escorting the Queen in by parachute, former England captain David Beckham travelling to the stadium by speedboat with the Olympic flame and performances from British artists such as Sir Paul McCartney, Arctic Monkeys and Underworld. The ceremony received predominantly positive reviews from the world's media. Media in the USA said "Britain presented itself to the world Friday night as something it has often struggled to express even to itself: a nation secure in its own post-empire identity, whatever that actually is." Chinese media were also mainly impressed by the spectacle after their awe-inspiring $100 million opening ceremony extravaganza four years previously. 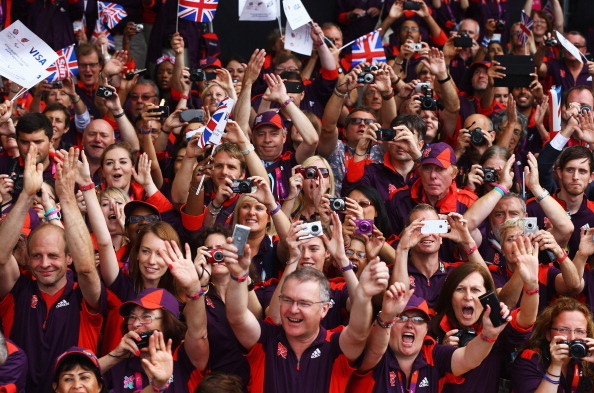 "The opening ceremony for Beijing was splendid but London's was more individual." said one Chinese reporter. Russian sports commentator Georgy Cherdantsev said: "After today's spectacle there's no point in Brazil spending money in 2016, they should just begin the competition straight away," despite some reporters in Russia claiming that the ceremony was "incomprehensible to non-Britons". The Games commenced on the 27th of July 2012, and saw a level of competition to compete with Beijing, as well as some incredible records broken in the process. 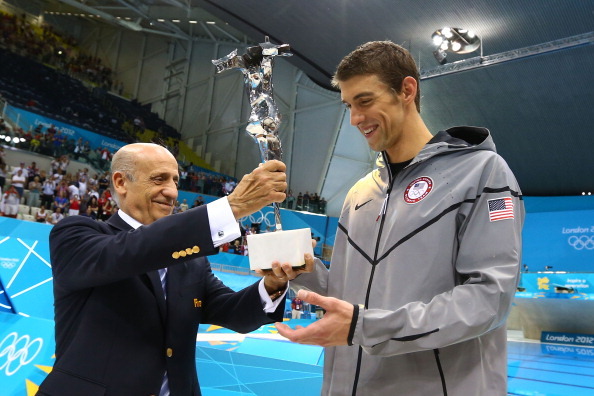 Michael Phelps became the most decorated Olympian of all-time when he won a further four gold medals at London 2012 to take his tally of medals to 22, including 18 golds, in just three Games, after he won eight golds at Beijing in 2008 and six golds at Athens 2004. Phelps overtook previous holder, Soviet gymnast Larisa Latynina, whose record of 18 medals had previously stood for 48 years, though Phelps won double her amount of gold medals. The American swimmer retired from the sport immediately after the Games, but 20-year-old South African Chad Le Clos, who defeated Phelps in the 200m butterfly in London, looked to be a good prospect for future Games as he took a gold medal and a silver meda. The host nation experienced one of its greatest ever sporting days on "Super Saturday" on the 6th August at London 2012, when Great Britain took six gold medals in one day, including three in the space of just over 40 minutes at the Olympic Stadium. The golden hour began at 9.02 pm when Jessica Ennis won gold in the women's heptathlon with a Commonwealth-best points total of 6,995 after missing out on Beijing 2008 through injury. 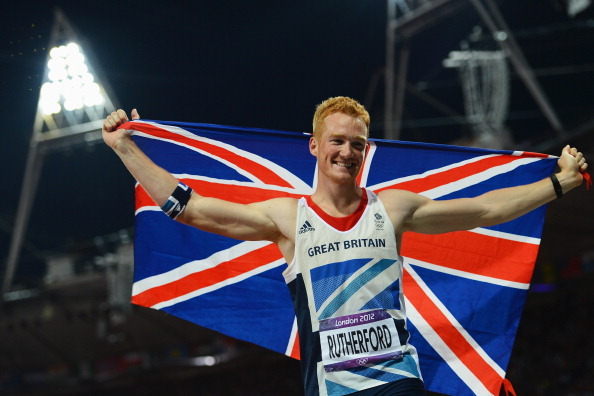 Just over 20 minutes later, long-jumper Greg Rutherford won a surprise gold medal for Team GB with a jump of 8.41 metres to become only the second British man to win an Olympic gold medal in the long jump. 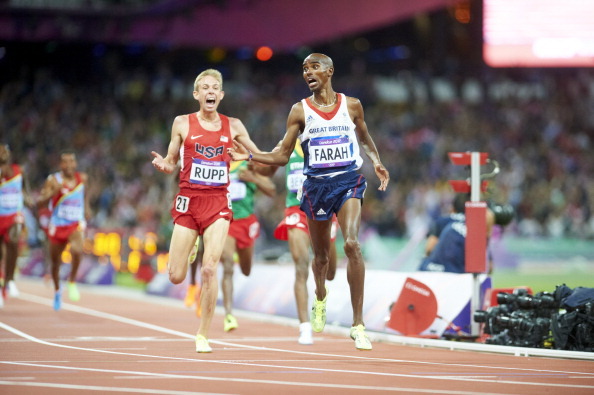 Whilst this was going on, another Team GB athlete, Mo Farah, was competing in the 10,000 metres, and the Somali-born runner pulled off a blistering final lap, using the momentum of the vociferous home crowd to spur him on to a gold-medal winning performance- the first time a British athlete has won the event- just over 20 minutes after Rutherford had claimed gold in the long jump. This night has since been proclaimed as the greatest night in British sporting history, and put the host country in great shape to defeat their medals total from Beijing and record their best performance at an Olympic Games since the first time London held the Games in 1908. With doubts being cast over Usain Bolt's chances of retaining his 100m and 200m Olympic crowns in the world press, the showpiece Men's 100m at the Olympic Stadium was poised to be a memorable occasion, and it did not disappoint. Bolt silenced the doubters, retaining all three of his gold medals won at Beijing in the 100m, 200m and the 4x100m relay with his Jamaican team-mates, proclaiming himself as "the greatest athlete of all-time" to the world's media. "I'm a living legend," he said after becoming the first man in history to retain the 100m and 200m titles. 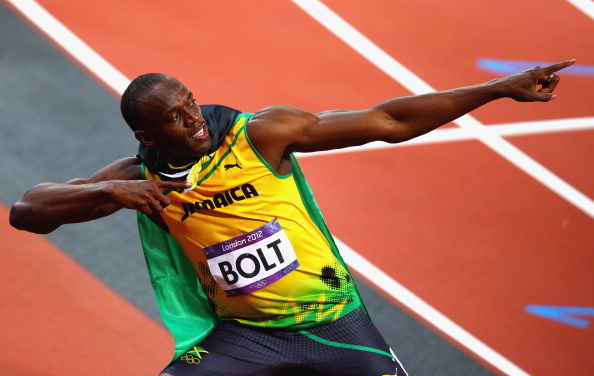 Usain Bolt celebrates retaining his 100m title at London 2012 before proclaiming himself as "the greatest athlete of all-time"
The Jamaican known as "Lightning Bolt" pondered his future, but insisted he would attempt an incredible third consecutive defence of his Olympic titles at Rio 2016. "I am not ready to retire. I love this sport." "I need to find a goal that's going to motivate me to great things. "The rest of the season I am just going to have fun because I did what I came here to do." IOC president Jacques Rogge delivered a glowing report for London 2012, saying that "The country that invented modern sport has helped give new life to the spirit of competition and fair play." "The superlatives created here in London will live on long after the cauldron has finally been extinguished." he continued. "The kindness of the volunteers, and the help that we're getting from these wonderful people, the kindness also of the people in the streets as you walk through London – this is a city partying." "And also the crowds, the spectators, this is really something exceptional. It is unheard of and it is really very reassuring for the future of sport." London 2012 will not be remembered as a particularly spectacular Games in terms of pyrotechnics and ultra-futuristic graphics and venues in the same way that Beijing 2008 will be, but the traditional, community feel of London gave it a very quirky British-ness that impressed much of the worlds press. With such a huge emphasis placed upon the legacy of these Games, the future usage of venues, facilities and infrastructure on the whole remains to be seen, and will of course be closely scrutinised, but the Games certainly did a lot to endear the UK to the rest of the world, and will serve as a tremendous platform for the country to re-launch itself as one of sports' greatest countries.